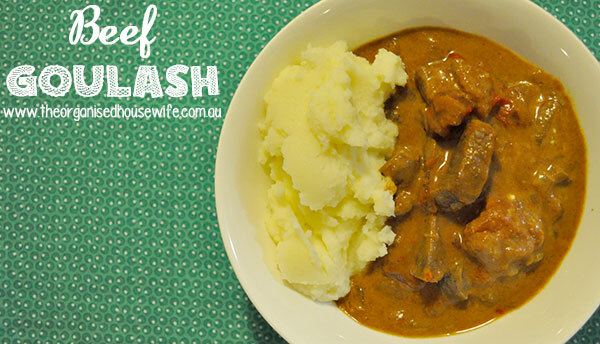 In this weeks meal plan I put the slow cooker to good use, I love it for those days we are really busy or I’m not feeling the best. 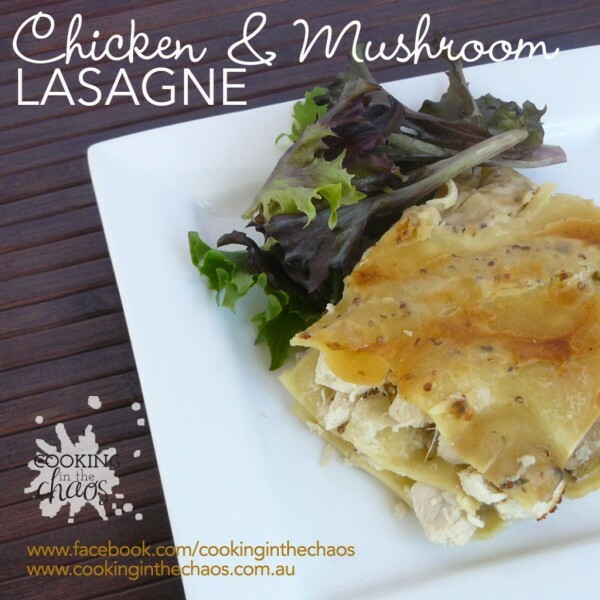 Those types of recipes where you can just throw everything into the cooker without browning are my favourites! 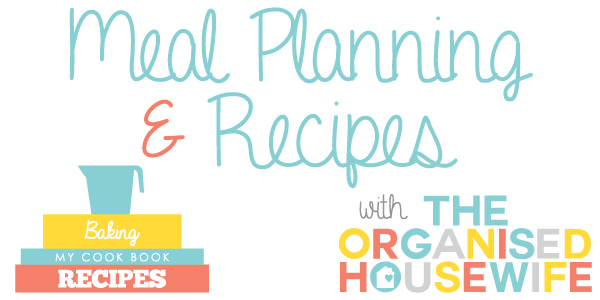 Find more meal planning tips: How to meal plan & meal planning printables. As you know I each Monday I share my families weekly meal plan and other recipes to help inspire you. 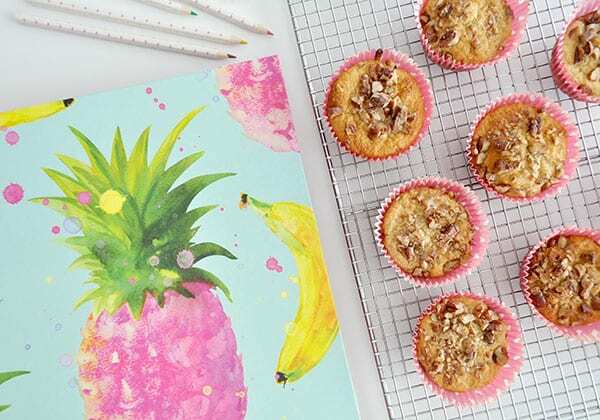 I use easy family friendly recipes that the kids will enjoy. I do try my best to keep our meal plan healthy, however we may have something every now that may not be. 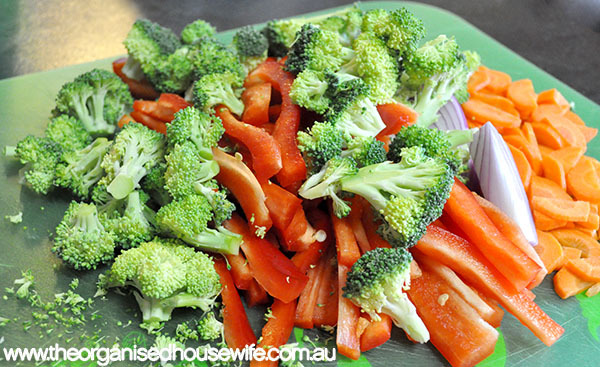 See my previous weekly meal plans here. This is one of those throw everything into the bowl and cook for the next 4 hours recipe, only effort here is chopping up the vegetables and remembering to add in the cream 30 minutes before it’s finished. 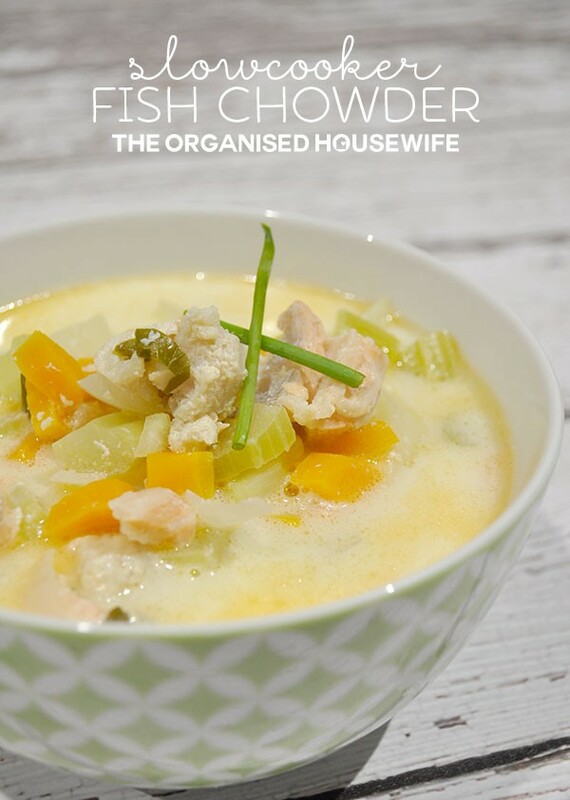 We enjoyed this chowder, another great way to add fish into our diet. I used 2 fillets of white perch and one fillet of salmon to stretch it out to feed 5, which it did, plus left overs for one lunch the next day. This is one of those throw everything into the slow cooker and leave it alone for 8 hours kind of dishes. All you need to do is make some potato mash half an hour before serving time. I cooked a double batch for dinner tomorrow night. Miss 12 made a double batch of these so the kids could have them in their school lunch boxes and as after school snacks. My kids always ask for the store variety LCM rice bubble bars, but making them at home is really easy and so much more cost-effective. Making one batch of these healthy chocolate rice bubble bars only takes minutes and makes 16 good-sized portions. 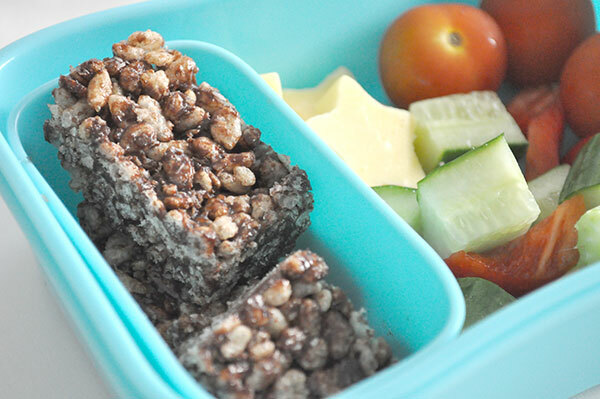 A healthy after school snack for the kids or leave out the nuts (if not permitted at your school) and add to the kid’s school lunchbox. Every time I visit your site I get so many yummy dinner ideas! 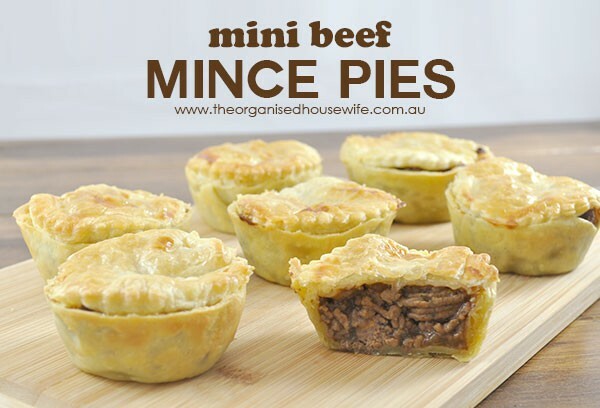 Off to do my grocery shop… with 3 of your dinners in mind! Kat, you’re on a roll – LOVE this one also. The Choc Rice Bubble Bars ought to help with the ‘back-to-school’ sting! Thanks.